The Food And Folk of The Old County. Lancashire is a county with a rich culinary heritage, championed by some of the UK's best chefs. Re-invented versions of Lancashire classics can now be found in the most select of establishments — often with a price tag to match! But what of the originals, the stuff that was concocted in ordinary family homes by our mothers and grandmothers, and theirs before them? Where did the ingredients come from? How did food relate to the needs of gruelling working lives? And just how many different recipes are there for hotpot? 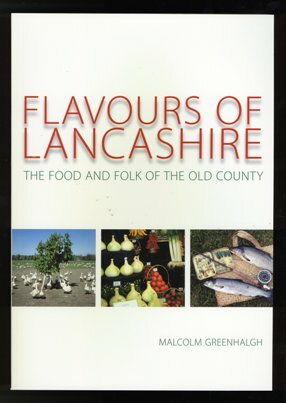 Author Malcolm Greenhalgh has delved into the food of Lancashire, traced its history and old recipes, and gone in search of the best our region has to offer today. What he has found, wherever he has been, is true passion for our county's food, both past and present. As Lancastrians we are justifiably very proud of our traditional dishes, and of the amazing quality and variety of the local produce available today. Flavours of Lancashire is packed with fascinating information, stories, recipes and illustrations, and is a lively, beautifully produced celebration of our county's food heritage.